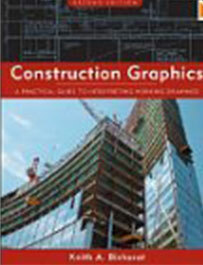 Interpret construction drawings using industry standard graphic communications. Understand the relationship and interdependencies of all consultant drawings and read drawing sets proficiently. Explain the relationship between construction drawings and the related specification, contracts and other construction documents. Interpret written regulations and codes with respect to construction drawings. Interested in being notified about future offerings of BLDT 1021 - Construction Drawings? If so, fill out the information below and we'll notify you by email when courses for each new term are displayed here.